Last Thursday the Maine House of Representatives took up House Order 34, “Establishing the House Special Investigative Committee”, sponsored by Rep. Ben Chipman (D-Portland), calling for a special committee to investigate allegations of multiple incidences of wrongdoing by Governor Paul LePage. Ultimately the House voted 96-52 to indefinitely postpone the measure, effectively killing any further action towards impeachment. Full floor debate is below. Roll call of the vote here. 4. Following its review and investigation of the facts and circumstances relating to the alleged misconduct of Governor Paul R. LePage, shall submit to the House of Representatives no later than April 1, 2016 its findings and recommendations in the form of a final report, including, if the committee concludes such action is warranted, articles of impeachment describing the misdemeanors in office with which Governor Paul R. LePage is charged. The committee may request from the Speaker of the House of Representatives or the Speaker’s designee extensions of time to complete its work. Multiple interviews followed the conclusion of the day’s work. AUGUSTA – The Maine House on Thursday will take up a resolution that affirms lawmakers’ commitment to the standards the public has the right to expect of its public officials. The House will take up the resolution, along with what could be the first steps towards impeachment of the governor, tomorrow morning. After months of examinations, interviews, subpoenas and more, the Maine Government Oversight Committee (GOC) yesterday got closer to ending their part of the ongoing LePage/ Good Will-Hinckley/ Speaker Eves saga by finally accepting the Office of Program Evaluation & Government Accountability (OPEGA) report (more to be written on this later). More videos will be released later on, but it is well worth focusing on the statements of the committee co-chairs, GOP Senator Roger Katz of Augusta and Democratic Representative Chuck Kruger of Thomaston, as they detailed for fellow committee members why they were accepting the exhaustively and thoroughly prepared investigative analysis by OPEGA director Beth Ashcroft and her team. Our job – to get facts out on table for all to see – for everyone to draw own conclusions. Thank Beth and her staff for a fine job. Committee’s job is done. Now up to others if anything happens from here. 1. As we look at what happened it should make no difference at all whether each of us is a Republican or a Democrat. Unique nature of committee– Bipartisan – six and six. 2. 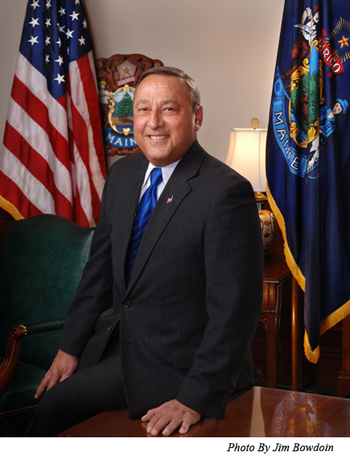 Should make no difference in how review the facts whether this governor is a Republican or Democrat. Whether his name is Bakdacci or LePage or any other name. 3. We are talking about the facts of these events only involving Goodwill Hinckley. Others have suggested that we view these events in a larger context of an alleged PATTERN of conduct by the chief executive– – but this is clearly not our mandate….and we have not done so. 4. We should view these events in the context of “politics” a sometimes rough and tumble sport. We cannot be naïve about this. 5. Many people will ask “were any laws broken?” But that analysis is beyond the scope of our work. We haven’t looked at that question nor have we sought any legal opinions on that question. This is not the forum to answer the question. So, what have we learned after a rather exhaustive process involving numerous interviews, review of many documents, and a full day of testimony taking under oath? Goodwill Hinckley needed a new president. Their Board undertook a recruitment and application process. As a result of that process, the Board decided it was in the best interest of the school to hire a Mark Eves….and they voted unanimously to do so. The Board offered the job to Mark Eves and he accepted. The governor learned of the hiring and was upset by the hiring. The governor believed that goodwill Hinckley was making a mistake – the Governor believed that Mark Eves lacked the credentials to be an effective leader of school. At that point, a number of the ministration officials, including, the acting Education Commissioner, a senior aide, and the Governor himself–all communicated to Goodwill Hinckley that if Mark Eves were hired, discretionary state funding of approximately $500,000 per year would be withdrawn….that money that the school was depending on would be pulled. Learning of this, the Harold Alfond Foundation became concerned about its own investment. The President of the Foundation worried that if state funding was withdrawn, the school might not be able to expand its student population and meet other performance goals. Based on this, the Foundation decided to reevaluate its own multi-million dollar financial commitment to the school and communicated that to school officials. Good Will-Hinckley now found itself in a terrible position. The school now faced the loss of state funding and possible loss of Alfond Foundation funding – both of which could cause the school to default on a bank loan and lead to potential foreclosure on some of its school real estate. In the face of these facts, the board decided to fire Mark Eves. All four are skilled in the use of the English language. All four of them of them could not have been more clear in their testimony to our committee. All four of them reached exactly the same conclusion – that members of the Administration conveyed to them that if Mark Eves were hired that state funding would likely be pulled at the direction of the Governor.. I reach this conclusion myself beyond a reasonable doubt. It quacks like a duck, it walks like a duck – I think it’s a duck. On top of that, the most compelling evidence from comes from the Governor himself who stated in no uncertain terms on camera that he threatened the funding withdrawal. There are those who will say “you are right – that is exactly what happened but that the governor was completely justified in what he did. That it is perfectly appropriate to step in because of his belief that Mark Eves was unqualified for the job. First of all, Good Will-Hinckley is a private non-profit institution. It may receive some government funding, but it is still a private organization. As such, I believe they have a right to make their own hiring decisions without fear of interference by anyone on the outside – especially something from the government. There are literally hundreds of similar private entities that receive state funding of one kind or another. I worry about the precedent this case sets if this kind of executive action becomes the new normal. Are we entering an era when private institutions will feel a need to give politicians a veto power over their internal hiring decisions? I certainly hope that is not the road we are going down. This is hardly speculative thinking. I have already heard in the last few months about one private organization that had exactly this concern as it went through a hiring process of its own. The second concern I have is with respect to my colleagues in the legislature – present and a future….and the First Amendment. We are a Citizen Legislature—most of us have other jobs. I hope we will not get to the point where legislators start weighing their votes–worrying that if they push the wrong button their own present or future employment might be in jeopardy. We can’t do our job if every vote, every floor speech, is viewed through the lens of “what if”. Again, this is one person’s view—one of twelve. As I said earlier, I am proud of the work of OPEGA and I am proud of the work of this committee and respect the views of each and every one of my colleagues, all of who are also struggling to do the right thing. The role of this committee is to shine a light. The actions of Governor LePage as they relate to Good Will-Hinckley and Speaker Eves raised serious questions about our government and political system. We had before us questions about the abuse of public office and taxpayer dollars and allegations that threats were made – and carried out – against an organization for at-risk youth to exact retribution against a political rival. These are questions that could shake the faith of Maine people in their government. We owe it to them to get to the bottom of this matter. Representative Chuck Kruger (D-Thomaston) reads his statement, urging support for the OPEGA report. If an elected official is able to use the power of his office to punish a lawmaker for his voting record, who among us is safe? Are any of us as lawmakers? What about everyday Mainers or independent organizations? They need to be able to go about their business without worrying about crossing the wrong person in power. As elected officials, our consciences and constituents– not the fear of intimidation and retribution – must guide our actions. These serious concerns moved some of our legislative colleagues – Republican, Democratic and independent – to request an investigation. We, as a committee, unanimously determined that OPEGA should investigate. That strong bipartisan vote showed how seriously we take our duties. We remained just as committed to them when others tried to undermine this effort and even attacked our work and our mission. OPEGA produced an excellent, impartial report that spelled out what happened. We now know with complete certainty that the governor used state dollars to threaten Good Will-Hinckley because it hired Speaker Eves and that funds were withheld and restored only after Speaker Eves was fired from his new post. Now, with our fact-finding mission drawing to a close, it’s up to others outside this committee room to decide what comes next. I believe that this investigation and this report can be valuable tools, and I urge the Legislature to take action so nothing of this sort ever happens again. This is what’s needed to ensure the people of Maine can have confidence in our system of government. Heroin is raging in our state, and it is killing Mainers every week. We need less talk on this deadly pandemic and more action. Everyone agrees Maine’s heroin problem has escalated into a public health crisis. But politicians differ on how to handle it. My administration is focused right now on attacking the supply side of the problem. We need more law enforcement officials on the streets, hunting down drug dealers and stopping them from selling poison in our state. However, as we have said repeatedly, we are not looking to arrest drug addicts. We are going after the organized drug dealers who run these illegal operations like a very profitable business. We need to shut them down wherever we can. We absolutely agree that more treatment, education and recovery efforts are needed. If the Legislature wants to create a comprehensive plan to increase both law enforcement and treatment, we welcome it. The Legislature has the ability to prioritize funding for this comprehensive plan when they go through the budget. Unfortunately, like everything else the Legislature does, it will take a long time to come up with the plan—and even longer to implement it. We can’t stand by and watch Mainer after Mainer die from heroin or other lethal opiates while the Legislature is mulling over their plan. As Maine is plagued with the worst drug epidemic in history, MDEA is shortest staff than ever. We first proposed 14 new agents in March 2014, but the Legislature only approved 4 new drug enforcement agents in July. That’s not enough. We need to build a pipeline for hiring and training new agents so as some are hitting the streets, more are coming in for training. But the Legislature has delayed these law enforcement efforts for a year-and-a-half. As the drug crisis is rapidly accelerating, we are falling behind in resources to stop the supply. The Legislature can determine the timeline for funding the new agents. I just need to know they are serious about creating these positions no later than Jan. 2016. But if they continue to stall and wait around for an unspecified plan to increase treatment, I will move ahead without them. As they contemplate how to create a plan, Mainers are literally dropping dead. If they have not informed me by December 10 that they are planning to fund these new agents, I will take action. That’s why I will use every resource available to me to fight these drug traffickers, including temporary support from the National Guard. Every life is worth saving, and we will do whatever is necessary to prevent the death of one more Mainer. Committee next meets on December 3. Via a second camera, the testimonies of the three LePage staffers and administration officials subpoenaed to testify are available separately. David Webbert of Johnson, Webbert & Young, LLP speaks to press while Speaker Mark Eves looks on (July 2015). Today, I filed a new notice of claim under Maine law against Gov. Paul LePage on behalf of Speaker Mark Eves. The attached written notice explains why Speaker Eves has a very strong state law claim against the Governor for intentional interference with employment. Not only did the governor violate federal law, but he also violated Maine law when he blackmailed Good Will-Hinckley to coerce it into firing Speaker Eves. This state law claim adds to the Speaker’s case against the Governor and will be considered as part of the lawsuit in federal court. Maine law requires that this notice be filed with the Office of the Governor and the Attorney General. It also requires that Speaker Eves wait 120 days after filing this notice before he can add this state law claim to his lawsuit filed in federal court on July 30, 2015. Here is the notice of claim. Photos here of the press conference held today on the steps of the courthouse in Portland. As part of their monthly meeting held in Newcastle last night, Lincoln County Democrats invited State Senator Chris Johnson (D-Somerville) of the Legislature’s Government Oversight Committee and State Representative Jeff Evangelos (I-Friendship) to speak about the ongoing investigations of Governor Paul LePage and Good Will-Hinckley. The clip is just over an hour long and includes discussions by both legislators, as well as a lengthy Q&A session with the audience, which numbered as many as 40 people at one point. Some quick observations via Instagram here, as the meeting was occurring. More photos of the meeting can be found here. No one in the State of Maine cares more for at-risk kids than I do. I was an at-risk kid. I have been there. I know what it’s like to grow up in a dysfunctional household with an abusive parent. I know what it’s like to live on the streets where crudeness and violence are so normal that the rest of the world seems foreign. I also know what it’s like to feel alienated in a public school system that doesn’t understand the needs of the at-risk kids. I care about all Maine kids, and I care about the at-risk youth at Good Will-Hinckley. When I heard Good Will-Hinckley had hired Speaker of the House Mark Eves to run their charter school for at-risk kids, I thought it was a joke. 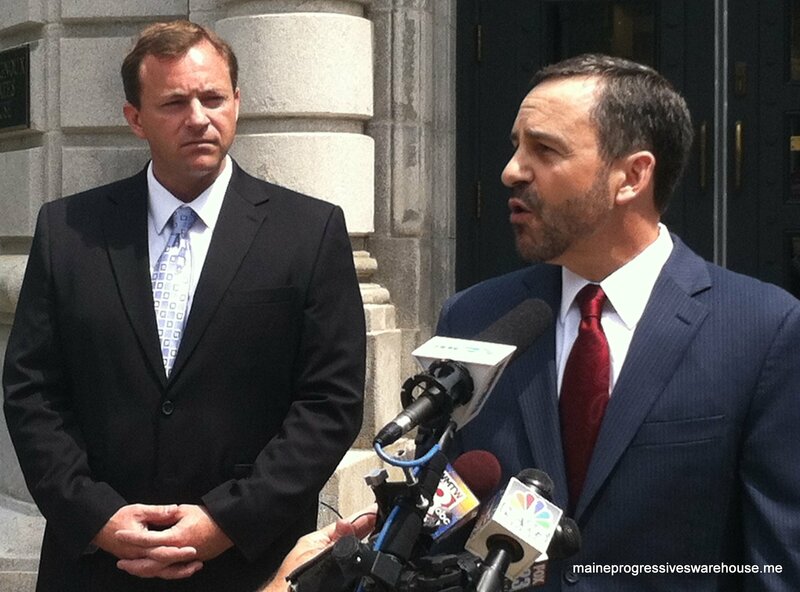 If Speaker Eves had his way, no charter schools would have ever opened in Maine. He worked his entire political career to oppose and threaten charter schools in Maine. He is the mouthpiece for the Maine Education Association. Giving taxpayers’ money to a person who has fought so hard against charter schools would be unconscionable. Supporters of Speaker Eves, including his admirers at the Portland Press Herald,, have portrayed him as a nice family man who is being persecuted for simply trying to get a job. That is pure political spin, and the Maine people know it. Mark Eves enjoys the prestige and the perks that come with his powerful position as Speaker of the House. However, like most professional politicians, he does not like having to defend his voting record. And that record is crystal clear: Eves has been the most visible and most powerful opponent of charter schools in Maine. Regardless of his efforts to close charter schools, he wanted a cushy job at a charter school that paid $150,000 in salary and benefits. You can’t make this stuff up. The media is bending over backward to defend Eves, but Mainers see it for what it is. It’s a political hack-o-rama at its worst. Unlike prior presidents at Good Will-Hinckley who hold advance degrees in education administration and have had long careers as educators, Speaker Eves’ only qualification was being a politician in Augusta, where he’s used his position to oppose charter schools and to threaten the existence of the very organization he sought to lead. I have spoken out against people in powerful positions who have abused the taxpayers’ trust at the expense of the Maine people. Former legislator Paul Violette, the past head of the Maine Turnpike Authority, went to jail for enriching himself and misappropriating public money. Another former legislator, Dale McCormick, past head of the Maine State Housing Authority, was spending much more public money than was necessary to build housing units for low-income Mainers. She was ousted for her mismanagement of that agency. These former legislators used their political positions to land cushy, high-paying jobs in which they were trusted to use taxpayer money to improve the lives of Mainers. They abused that trust and had to face the consequences of their actions. The same is true of Mark Eves. Speaker Eves most recently broke the public trust when he orchestrated closed-door budget negotiations with three other legislative leaders, then forced the 183 other legislators to vote on a budget they did not have time to read. Thankfully, 47 legislators saw through this and voted against it. I’m sure Mark Eves is a nice family man. He is free to speak his mind personally and politically. But so am I. When I disagree with Speaker Eves or any other politician and when I see that their actions are not in the best interest of the State of Maine, I will speak up. If Speaker Eves or anyone else wants to sue me in hopes of a big pay day, that’s their right. But I will always fight for the right of the Maine people to have a government that is free from waste, fraud and abuse. I will not get a big pay day for my efforts. But I will sleep well at night, knowing I did the right thing for the Maine people.